While browsing Pinterest the other night, I saw an eCard that literally made me laugh out loud. The caption: If you think you're having a bad month, just be glad you're not a turkey. So true. 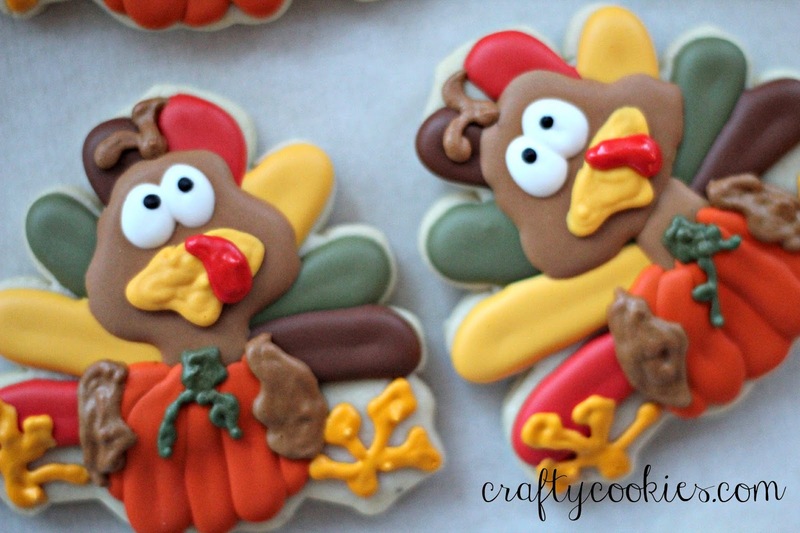 When I began thinking of Thanksgiving cookie ideas, I knew I wanted to create turkeys, but not serious-looking turkeys, turkeys with a personality. 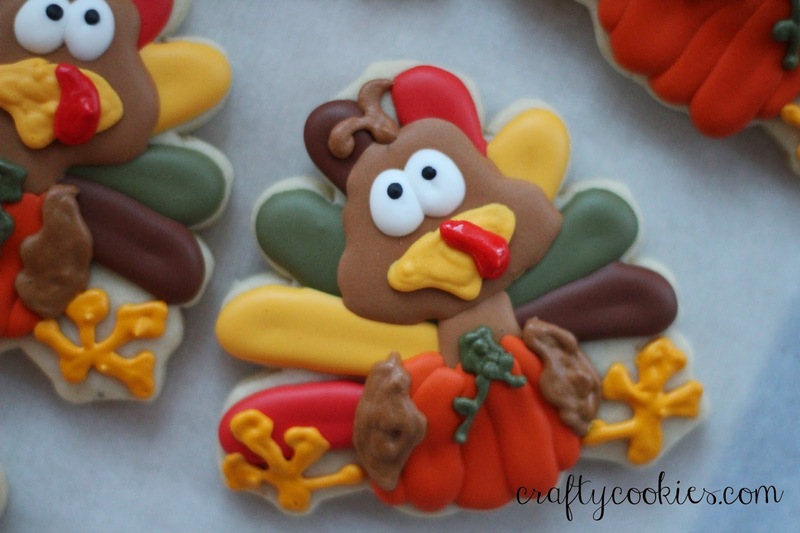 When I saw this clip art collection from Sarah Bailey, I knew I need to make these turkeys into cookies. I just love the way they look. Their expression totally reminds me of the eCard, too. Hope you have a great Thanksgiving that's just the right amount of crazy! 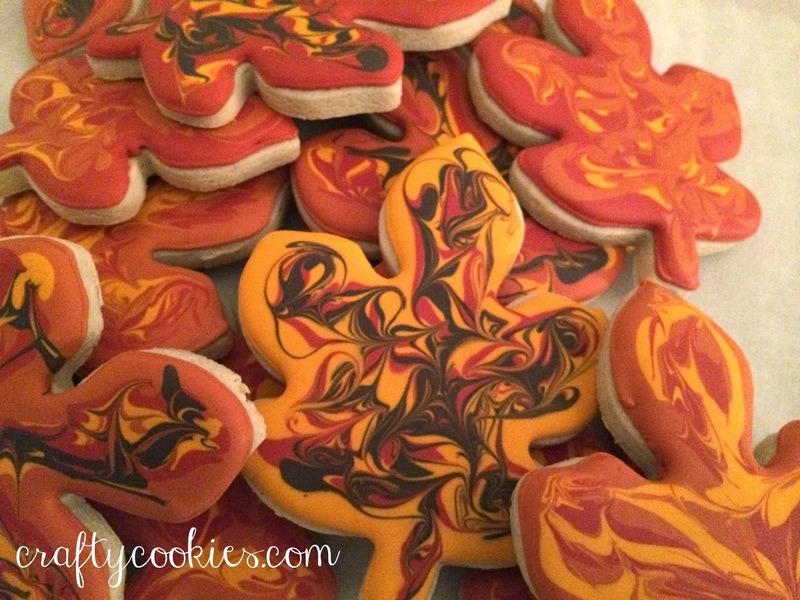 Driving through upstate New York last week brought such pretty pictures of peak fall foliage, inspiring me to make some easy leaf cookies. I've made these before, but love how they look when the colors are mixed together, just like in nature. 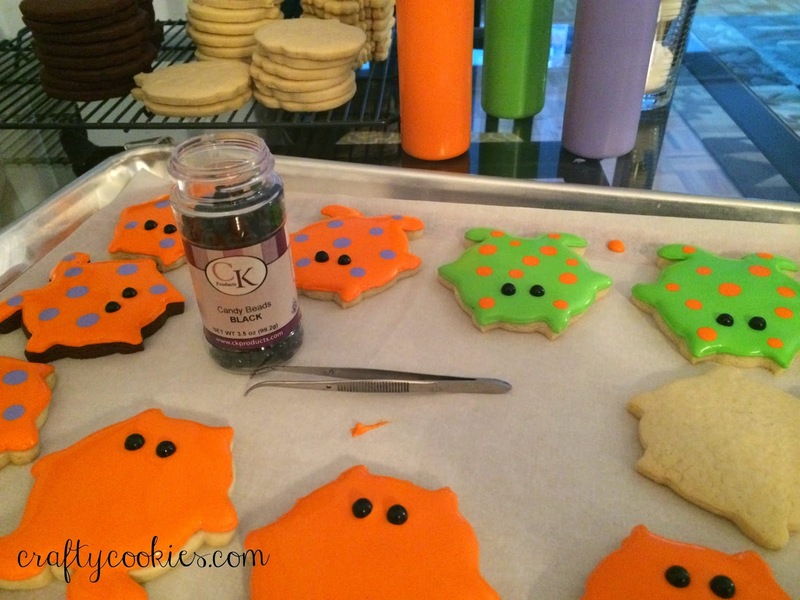 I did make a few Halloween cookies to take to school, but forgot to get out my good camera to take pictures. I did manage a few shots of some monster action and wrapped up jack-o-lanterns. Simplicity was the name of the game, as I tried to keep things simple, yet cute. 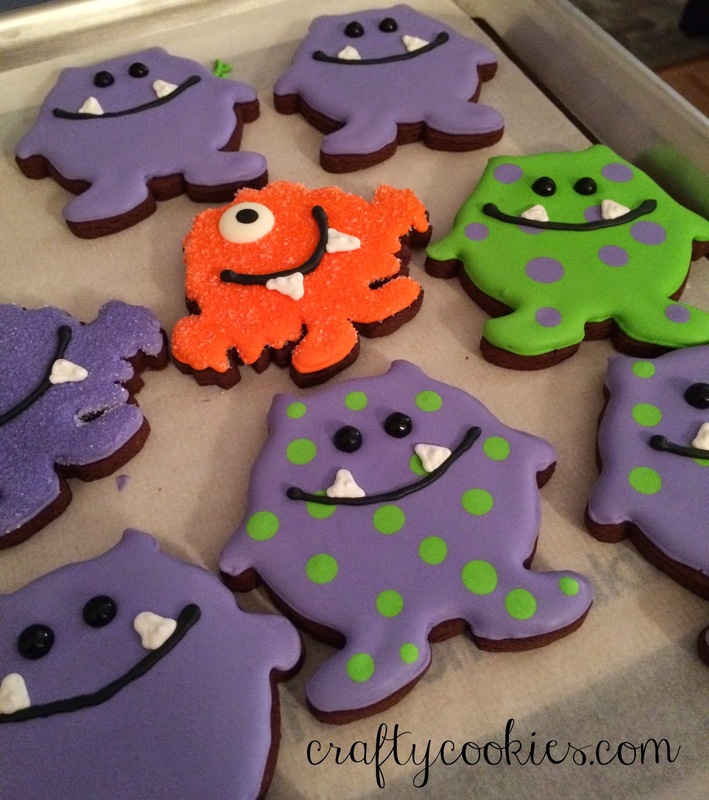 I love the way these little monsters turned out. 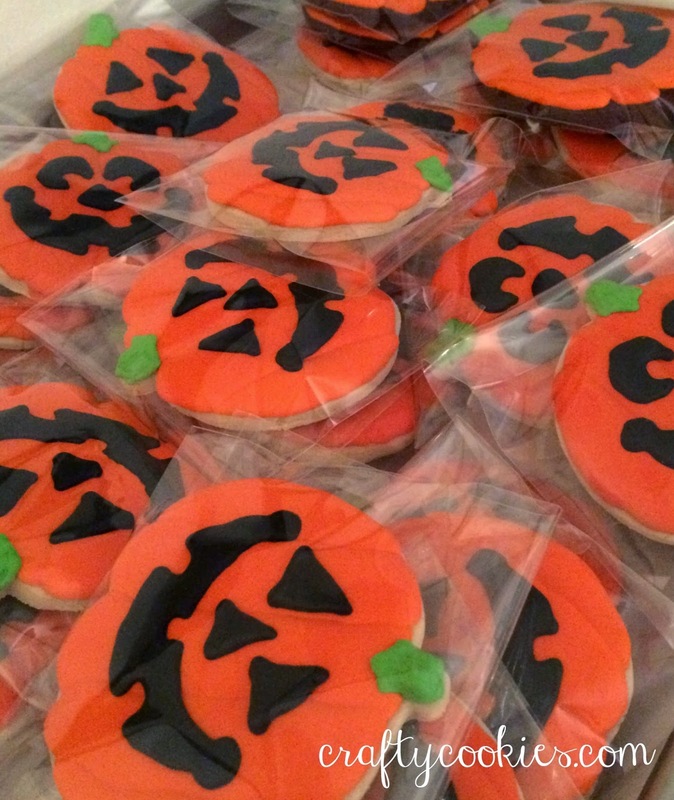 And, of course, what would Halloween be without pumpkins? 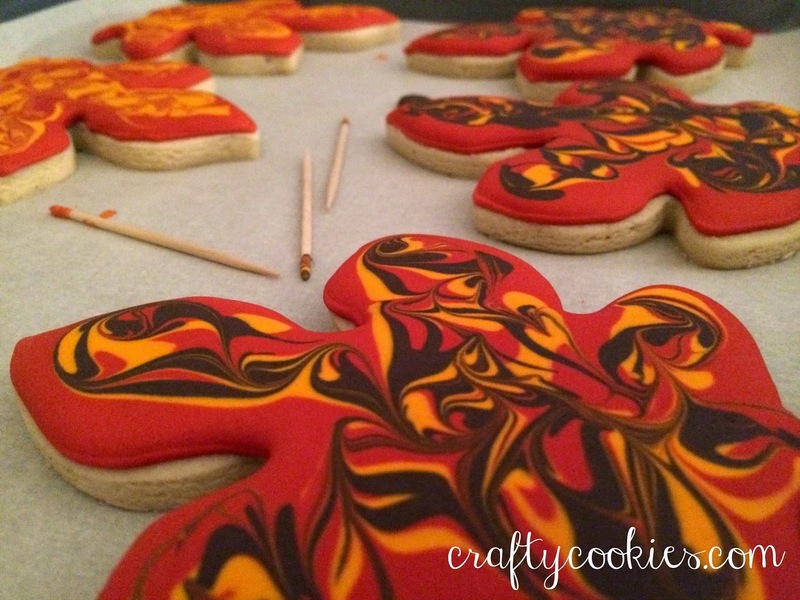 I tried texturing the orange icing to mimic the effect of a pumpkin's ridges. My phone pictures aren't doing the texturing justice. 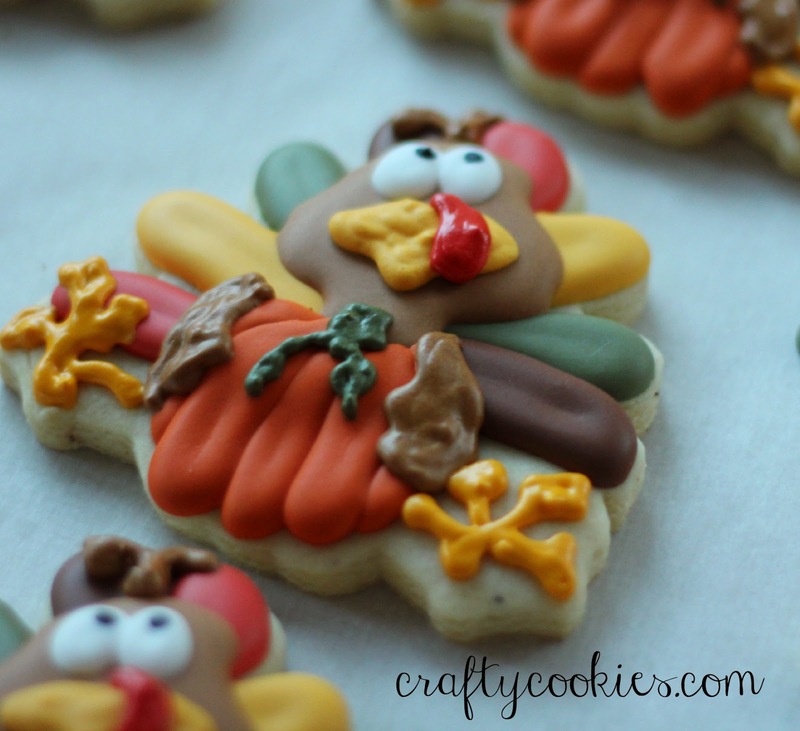 Hope you've had a great fall! I can't believe it's November already and that Christmas will be here soon!